I am still eating my way through the flat of blackberries that I bought at the farmers market and am amazed at how much I am still enjoying them. I was sure that I would be sick of the sight of them by now, but I just keep trying to find new ways to enjoy them. 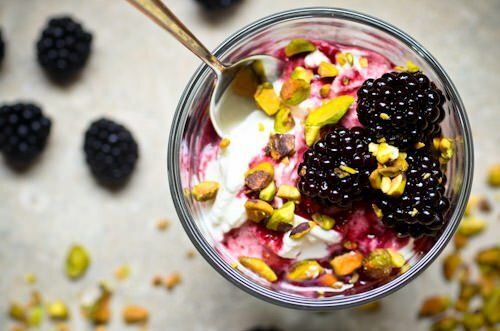 Which brings me to my new favorite breakfast, a blackberry yogurt parfait. 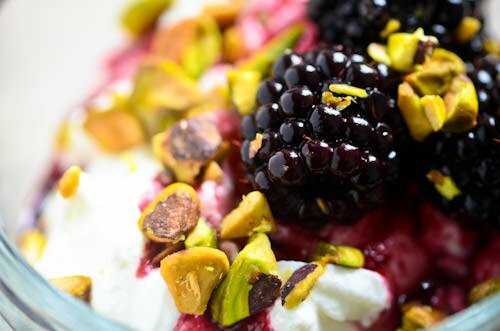 The sauce is super simple, freezes beautifully and is tasty on everything from pound cake to ice cream and as in this recipe, yogurt. Tie up the herbs in a small piece of cheesecloth and tie with kitchen twine. 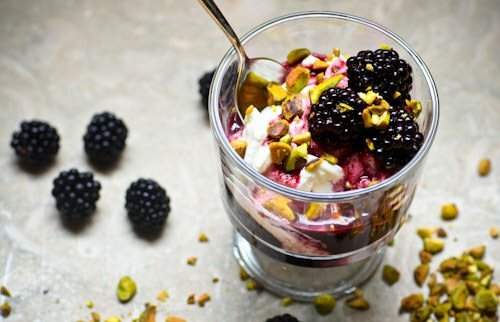 In a medium saucepan place one pint of the berries with the sugar, wine and spice bundle. Bring the mixture to a boil, then reduce the heat and let cook for 30 minutes or until your mixture is reduced, syrupy and coats the back of a spoon. Pass the sauce through a fine mesh strainer crushing the berries to remove the seeds. 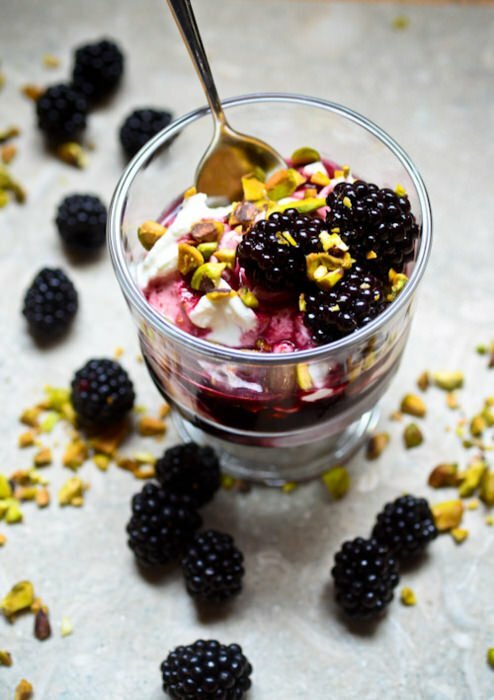 Return the strained mixture to the heat, add the remaining pint of blackberries and cook just until the berries are coated with the syrup and heated through. 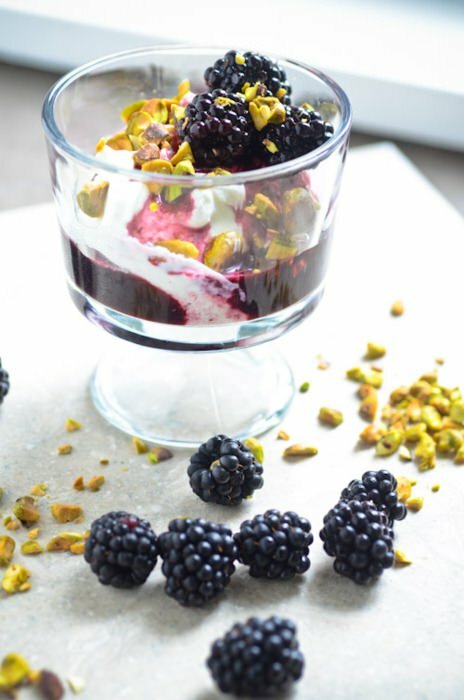 Spoon the yogurt into a bowl, top with a few tablespoons of the berries, sprinkle with the pistachios and serve.